Draft: 2003, Montreal Expos, 1st rd. November 4, 2013 RHP Chad Cordero elected free agency. April 20, 2013 RHP Chad Cordero assigned to Salt Lake Bees from Inland Empire 66ers. April 2, 2013 Chad Cordero assigned to Inland Empire 66ers. February 13, 2013 Los Angeles Angels signed free agent RHP Chad Cordero to a minor league contract. May 15, 2011 Las Vegas 51s released RHP Chad Cordero. April 4, 2011 RHP Chad Cordero assigned to Las Vegas 51s from Toronto Blue Jays. January 4, 2011 Toronto Blue Jays signed free agent RHP Chad Cordero to a minor league contract and invited him to spring training. November 6, 2010 RHP Chad Cordero elected free agency. July 23, 2010 RHP Chad Cordero assigned to Buffalo Bisons from New York Mets. July 22, 2010 New York Mets signed free agent RHP Chad Cordero to a minor league contract. July 15, 2010 RHP Chad Cordero elected free agency. June 3, 2010 Seattle Mariners selected the contract of RHP Chad Cordero from Tacoma Rainiers. April 7, 2010 Chad Cordero assigned to Tacoma Rainiers from Seattle Mariners. December 28, 2009 Seattle Mariners signed free agent RHP Chad Cordero to a minor league contract and invited him to spring training. 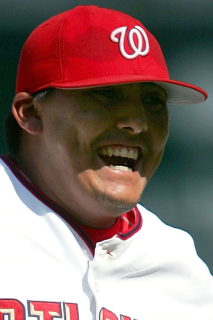 November 9, 2009 RHP Chad Cordero elected free agency. August 16, 2009 RHP Chad Cordero assigned to Everett AquaSox from AZL Mariners. July 14, 2009 AZL Mariners signed Chad Cordero.